227 days. That’s how long Adele’s 25 has been out up to the date this sales list was published on the Official Charts website. In that time it has managed to outsell the biggest of Coldplay and Take That’s albums, as well as the album that made her want to be a singer, Spice. It’s a ridiculously fast ascension up the all time sellers list, but I’d be lying if I said I was surprised. The monumental success of 21 that sees it on sales of 4.9m copies in the UK at number 4 on this list meant that if even half of the people who enjoyed that album spent their ten quid on 25 it would make this list. As it stands I’d say 25 is on course to be nearer the top 20 by the end of 2016 given its place in the UK top 10 remains secure. The album itself though? It’s a very very strong follow up to 21, where Adele realises where she needs to emulate her prior success but also where she can move into uncharted territory. I Miss You sees her tease her vocals like never before, while Send My Love (To Your New Lover) is a shot of Max Martin pop that no one expected from the queen of ballads. On the other hand All I Ask takes the balladry of 21 to new heights, as well as her vocal range too, the closing moments following an expertly managed key change is simply outstanding. 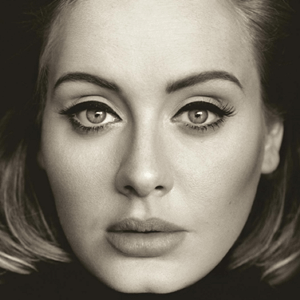 Water Under The Bridge and Sweetest Devotion are the strongest ‘new Adele’ moments too, with soaring vocals mirrored by thundering production. Of course though, among all of the uptempo tracks we have two ballads that set the tone for an album that defines just why Adele is one of the country’s most loved performers. . Opening track Hello is one of the greatest comeback moments in recent memory, the moment of the video where she opens her eyes on that opening piano note is as genius as the song itself. ‘Hello from the outside’ one of the best hooks she’s ever written. When We Were Young is simply tremendous though, brimmed full of emotion, reflective but powerful it’s Adele’s best vocal performance to date and my personal favourite song she has released. It’s quite fitting that this is the very last article I’m writing for The UK’s Greatest Hits. Adele is an anomaly in 2016, an artist who can sell 3 million copies of an album BEFORE releasing it on Spotify for ‘sale equivalent streams’. In an era where ‘nobody buys albums’ there should be a footnote that says ‘Unless released by Adele’. I’d give it another 5 years and Adele will have not just 2, but 4 albums in the top 60 sellers of all time; 19, 21, 25 and 28? Will I listen again? : I have been listening to 25 pretty much every week since release so I don’t plan on stopping any time soon. Best Track: Water Under The Bridge is probably the most interesting song here, but for me When We Were Young is the highlight of Adele’s career so far. Tags: 25, Adele, The UKs Greatest Hits. Bookmark the permalink.